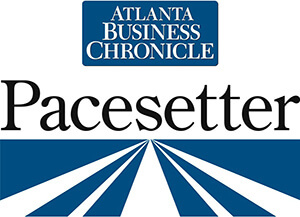 ATLANTA, March 6, 2017 – The Atlanta Business Chronicle included ADAPTURE as a finalist on its 2018 Pacesetters list, which recognizes the fastest-growing private companies in Atlanta. To qualify for the award, businesses must be privately owned, based in the 20-county metro Atlanta area, and not be a subsidiary of another company. Each company considered for placement on the list must also have experienced a two-year growth rate of at least 50% and attained revenues between $1 million and $300 million in 2017. ADAPTURE was previously recognized with this distinction in 2017. ADAPTURE has earned several awards recognizing its growth since its inception in 2013, including the ACG Fast 40, the CRN Fast Growth 150, the CRN Solution Provider 500, the CRN Next-Gen 250, and the CRN Tech Elite 250. Pacesetter rankings will be announced April 26th during an awards breakfast held at the Georgia Aquarium.